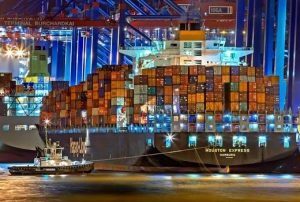 Guest writer Ethan Scott talks to us about the liberalisation of the shipping industry and how it is shaping the wider supply chain. The shipping industry has always been a crucial source of economic activity throughout history. It has also played important roles in countries whose economic activity primarily depended on inter-regional and international trade. Regarded as one of the four basic foundations of globalisation, freight transportation is now augmented by many commercial, socio-cultural, and technological aspects. Almost 90% of the world trade is conducted through the international shipping industry. In this respect, the liberalisation of the shipping industry has come about as a boon to many world economies. Many countries have benefited from the increased flow of goods, resources, knowledge, and services. When it comes to international trade, shipping holds dominance over other forms of freight transport. In previous years, shipping has emerged as a growth industry whose world fleet has increased by millions of tonnage every year. As many as 50,000 merchant ships are now trading internationally in almost every form of goods imaginable. Over 150 nations have a registered merchant fleet which is operated by a million seafarers of practically every nationality. In addition to this, the increased reliance on shipping has established the industry as a backbone of the global trade. The liberalisation of the shipping industry, therefore, has also played an instrumental role in the promotion of globalisation. The liberalisation of the shipping industry began to take place from the second phase of the twentieth century. A wave of technical and economic changes triggered the establishment of the free trade economy. This triggered the manufacturers to look for better sources for procurement of raw materials. As a result, investments started to be made into the integrated transport systems, as they promised a reduction in the transportation cost. This was followed by a growth in the bulk carrier domain, as shipping operations could now be used for the transportation of motor vehicles, forest products, chemicals, gas, and other relatively new forms of cargo. The liberalisation of the shipping industry came about as freight transportation through ships moved away from being dominated by nation states and instead was carried out by industrialists and manufacturers. The expansion in trade brought about by the liberalisation of the shipping industry was only possible with a reform of the freight transport system. As a result, the shipping industry saw the development of many new types of ships. These included bulk carriers, liquefied gas tankers, supertankers, vehicle carriers, chemical tankers, container ships, and lumber carriers, amongst others. The liberalisation of the shipping industry has also triggered many business sectors to adopt transport-incentive strategies for the reduction of transport costs and the provision of improved customer service. Shipping has now come to support the economy in three ways. Firstly, it provides a medium to access goods to/from other countries. Secondly, it reduces transportation costs through the provision of services and supporting infrastructure. Thirdly, through supply chain management, it also ensures that the services are provided in a manner that allows organisations to minimise production as well as transportation costs. Even though lesser visible, liberalisation has made the shipping industry an integral part of the global economy. The system of maritime transport has now evolved into a network of specialised vessels that are dedicated to carrying out the transportation of specific goods. They have a defined transport system of ports, through distribution centres, and to markets. It has now evolved as a necessary complement to other methods of freight transport. So much so, that there is no direct substitute for waterborne commerce for a variety of trade routes and commodities. In addition to this, coast-wise and short-sea shipping also act as a substitute for rail and road transportation. The liberalisation of the shipping industry identified new labour markets that have encouraged the transportation of raw materials and intermediate products with low manufacturing costs. The low fuel costs further reduced the overall per-unit costs of the retail and semi-finished products, which were further minimised by multi-continent supply chains. It is now common for agricultural products to be harvested on one continent, shipped to another for processing, and transported to the third continent to be delivered to the final consumer. For instance, cotton crops grown in North America could be shipped to the fabric mills in Africa, and then to apparel factories in Asia before being shipped back to North America for sale in the retail industry. Many products have developed markets in countries where climatic or seasonal limitations require offshore sourcing. Since the shipping industry is service-based mainly, the growth depends on a variety of factors like speed, price, reliability, and security. Liberalisation of the shipping industry has also improved the volume of trade, and commodity has considerably reduced. However, constant changes in technology keep coming up with ideas to make the cargo system more reliable. Liberalisation in the shipping industry has also promoted the economic independence of a variety of countries by providing them with low-cost transport options for their goods. While many economies are still bringing about policy changes which favour liberalisation in their maritime domains, on a global level, it is one of the significant drivers of free trade. I started my career in the publishing industry at a very young age. It was 2014 until I realised that I need to explore the terrains of writing and seek my passion for it. I have worked, partnered and contributed to 20+ websites and blogs and constantly thrive to work on it.